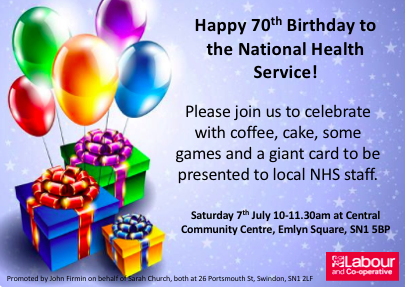 We will be hosting a Tea Party to celebrate the 70th Birthday of the NHS on 7th July. Open to all, we hope many NHS workers will come along and allow us to thank them. From volunteers, admin staff, those in clinics, offices, wards, theatres, nurses, doctors. Those behind desks, in laboratories, pushing trolleys, pushing beds, whatever your role we thank you. All in our NHS work tirelessly to improve the health and lives of others.